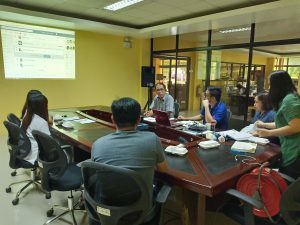 The Caraga Health Research and Development Consortium (CHRDC) conducted the 2019 1st quarter meetings for both the Research Management Committee (RMC) and the Research Utilization and Information Committee (RUIC). Part of the agenda, the meeting aimed to evaluate health research proposals submitted by the local researchers of the region and to examine and improve the dissemination of the knowledge and information from the R&D outputs of the consortium. 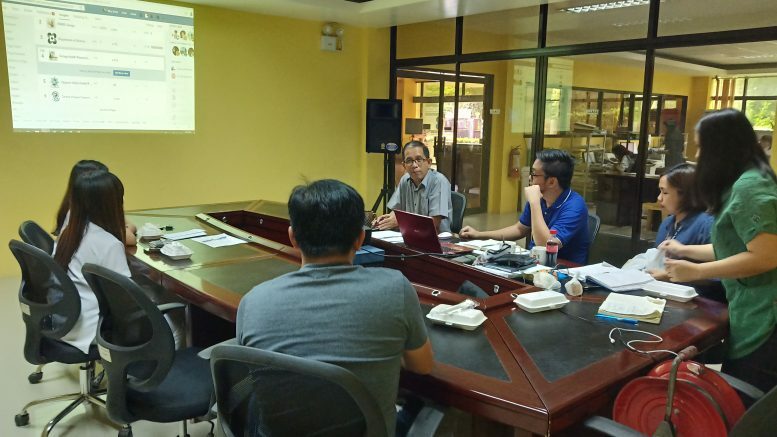 One of the highlights of the RMC meeting was the preliminary review of the submitted capsule proposal entitled, “Pesticide Use Knowledge, Beliefs and Practices of Farmers in Agusan del Sur, Caraga”. The proponent from the Department of Health Caraga, Mr. Dinnes Karl N. Garcia, aimed to provide baseline data on the level of knowledge, existing beliefs, and the detailed description on the current practices of farmers in the province of Agusan del Sur on the proper use of pesticides. The research results hopefully will help program implementers on both health and agriculture sectors in providing better programs for the promotion of safe pesticide use. The RUIC discussed possible strategies on how to encourage more health researchers to do research in line with the Regional Unified Health Research Agenda (RUHRA) of the Philippine National Health Research System (PNHRS). Strategies such as strengthening the promotion and campaign of proposal submission. A caravan for the call for proposal campaign will be conducted to increase the submission of health-related research proposals. Both committees also discussed their respective 2019 targets and activities.